Zion Lutheran Church originated in 1887 as the Swedish Evangelical Lutheran Church. 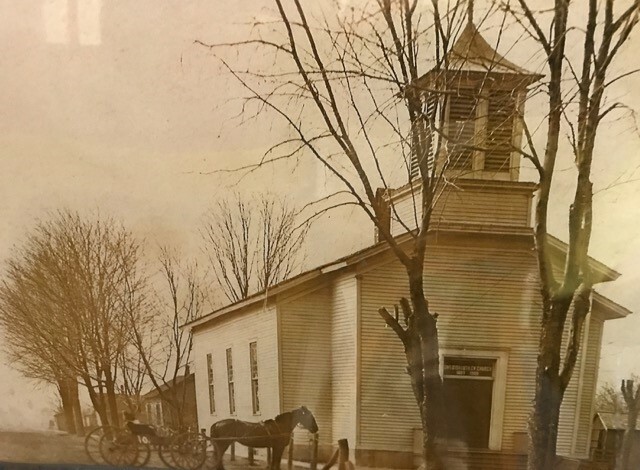 The church building originally belonged to a rural Methodist congregation and was moved into North Henderson to become our Lutheran church. As a first generation immigrant church, worship services were conducted primarily in Swedish except one Sunday per month. By 1926, most services were in English, and Swedish services continued for several decades. Dorcas Hall was built in 1929 as an addition prior to the church basement being dug out in 1952 to create Johnson Hall. The church office is in Dorcas Hall, where there is additional space for gatherings and luncheons. 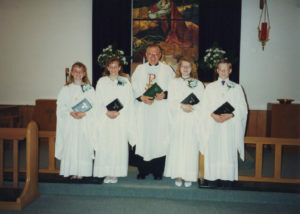 In 2000, the church expanded its footprint by purchasing the property next door to the parsonage on Bruner Street and creating a memorial park and garden. 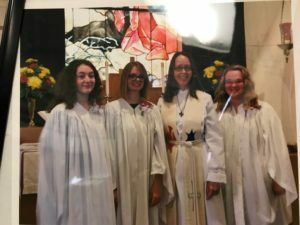 The women’s service organization that was established in 1887 is now the Women of the Evangelical Lutheran Church in America (WELCA). This group supports local and world missions and takes a very active role in the congregation. 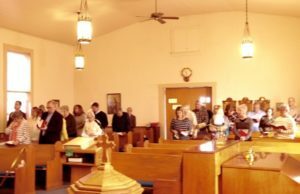 Over the years, Zion Lutheran Church has welcomed the adults and children in Sunday worship, as well as these additional opportunities to share in a community of God. Here are a few events and special celebrations we have historically offered and observed.